We admire a woman with a vision and when we heard this mum had a dream for dreamy and unique linen, her business Ndoto (Swahili for dream) was born – and we couldn’t wait to see what lay behind the name for ourselves! 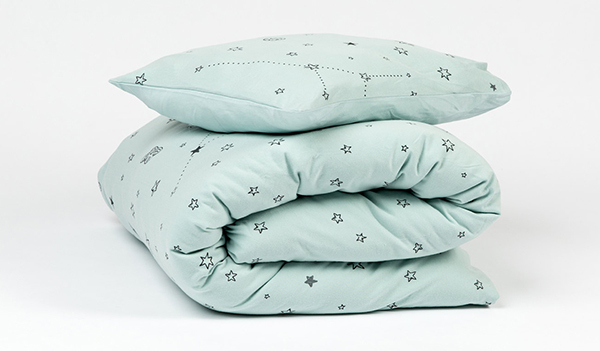 The Ndoto collection is brimming with beautiful nursery linen, single bed linen, quilt covers and blankets. We first showed you this label as one of our recent Etsy finds of the day, but wanted to take a longer look because we loved it so. 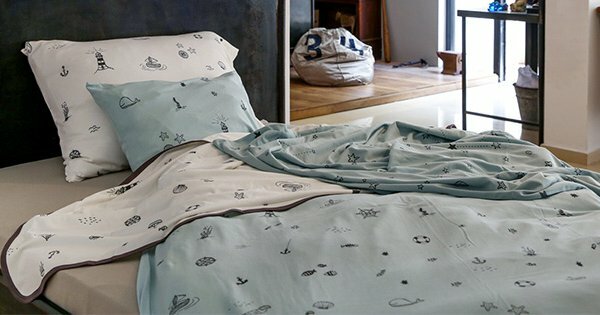 The prints, including Our Galaxy and Under the Sea, are derived from original hand drawn patterns for a unique look. Linen is made from exquisite and beautifully soft Egyptian 100 per cent cotton knit jersey and printed using organic dyes, so it’s just about guaranteed to give sweet dreams. Michal sells her linen through her Etsy store in packages which include a printed pillowcase, a printed quilt cover and a plain fitted sheet, taking all the guess work out of matching prints and colours. Alternatively you can purchase pieces separately and mix and match to your heart’s content! Have a look at the entire range in shades of peach, white, blue and grey, over at Ndoto. 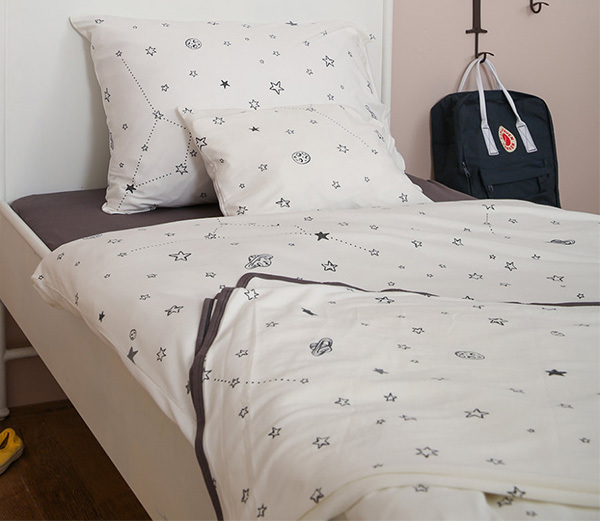 Prices start from $69.20 for a cot quilt cover and shipping from Israel to Australia is available for a very reasonable $13 extra.